Gov. 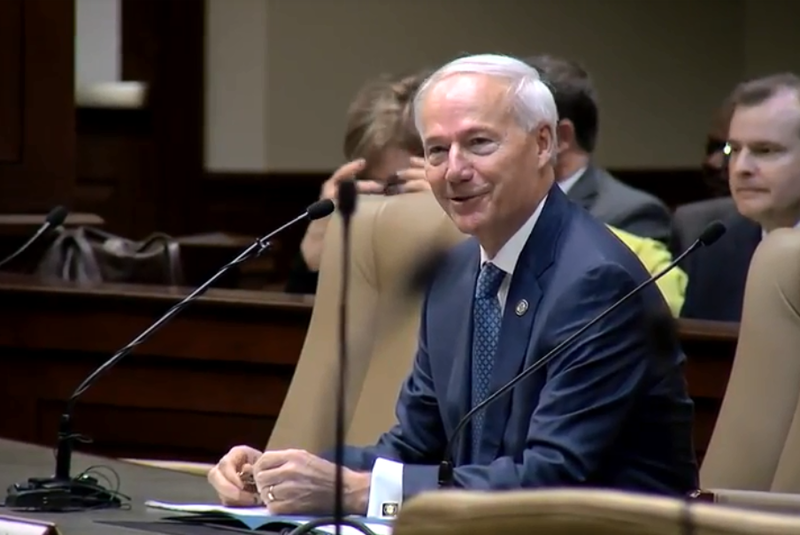 Asa Hutchinson's $97 million plan to cut the state's top income tax rate has passed the Senate, a day after it fell short of the votes needed. The Senate on Wednesday voted 28-5 in favor of the proposal to cut the top income tax rate from 6.9 percent to 5.9 percent over the next two years. The measure needed at least 27 votes in the 35-member Senate to advance to the House. The proposal fell short by two votes on Tuesday. It won the support Wednesday of two Democrats and a Republican who didn't vote a day earlier on the measure. Democrats have criticized the Republican governor's tax cut plan, saying its benefits are skewed toward the state's top earners and comes at the expense of other state needs. Gov. Asa Hutchinson’s $97 million tax cut bill for the state’s top income bracket that breezed through a Senate panel on Monday hit a wall in the full chamber after the measure failed to get the necessary three-fourths vote for approval on Tuesday.